Herbamedicus company specializes in production of the natural medicine products. Its offer is addressed both to the individual customers, and special recipients - pharmacies, herbal shops and drugstores, located throughout the country. 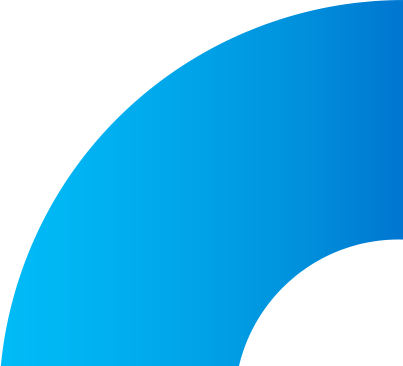 Following the demands of the modern market, the company’s management decided to implement a modern, featuring many dedicated solutions eCommerce system. The aim of the new online sales systems is to strengthen and develop cooperation in B2B model. Herbamedicus eCommerce system has a lot of dedicated solutions. One of the major challenges while implementing online store was integration with different sales environment - Call Center. Implemented module if fully compatibile with sales system and calendar. This functionality allows to pass the signal through FCN network - a VoIP fixed-line operator or through company’s server. Expanded module provides information about customers, products, orders, and complaints. Call Center module allows to define a list of personal data of people the employee should call. Phone campaign starts automatically, and system sequentially dials the telephone numbers from the entered list. If a potential customer won’t answer the phone, the system allows to enter a reminder, to call him or her in a given period of time. In the situation when employee will set reminder on already busy hour, the system will automatically propose the next available time in 15-minute intervals. Reminders pop up, so that the employee won’t forget about the next telephone. 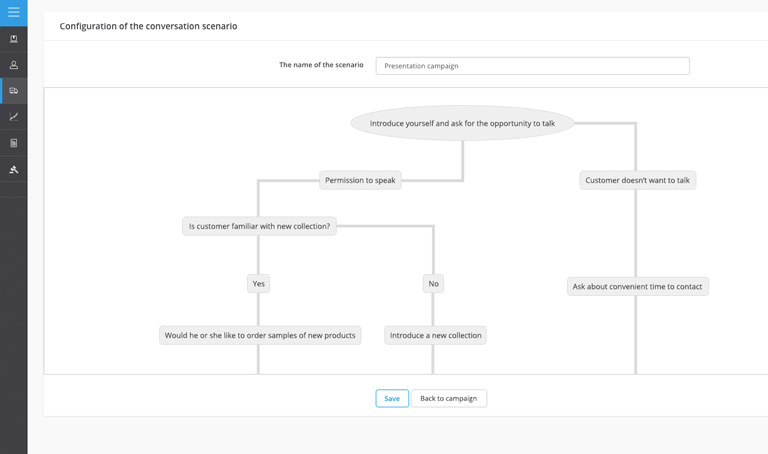 Call Center Module has also the ability to create flow diagrams, or conversation scenarios. Such scenarios are surprisingly helpful for call center employees, and they allow to have a uniform standard of customer service. Scenarios can be created and edited for each campaign independently. The principal administrator of the new Herbamedicus eCommerce system has an access to the scheduled tasks and can see the number of potential customers the employee has already called. Moreover, this functionality saves the time of phone calls and history of orders. The implemented module has also a tab “products”. Thanks to this solution, the employee, while talking with potential customer, can search for an interesting natural product for him or her without a problem, as well as all product data. The implemented functionality also allows you to receive telephone complaints. For the representatives of the company, implemented functionality is a perfect tool, supporting sales among both individual customers, and B2B. Herbamedicus company conducts business-to-business sales, as well as business-to-consumer. A large number of orders from specialized customers emerged in need to automate the procurement process at the suppliers. The implemented dedicated module allows full records of the suppliers, the online store cooperates with. The administrator can add personal details of the suppliers, including name and e-mail. With “place an order” function, the system automatically orders outage. Module “orders at the suppliers” helps in efficient and easy cataloging of business partner’s data, it allows to simplify and accelerate the process of placing orders, and suggests the administrator which products should be bought to meet customer’s demands. In addition, the functionality, which allows the automation of the cooperation between the customer and the Herbamedicus company, was implemented. The module also allows to manage orders from consumers of natural products. Thanks to this solution, customers can check directly from panel the product offer and pricing, as well as place an order. Then, the system compares the quantity of ordered products with inventory. If the amount exceeds the minimum level of inventory, an employee of the Herbamedicus company is informed that he should make an order at the supplier. Another challenge for representatives of the company was to implement solutions that will help in the efficient execution of orders. A module of automatic creation of logistic labels has been implemented. Logistic label is a specialized carrier of information in the supply chain, in which all participants communicate according to the global GS1 system standards. The label consists of three elements. Its upper part contains text information. Usually this are data about the producer or supplier and basic information about the product, such as: name, quantity, weight. 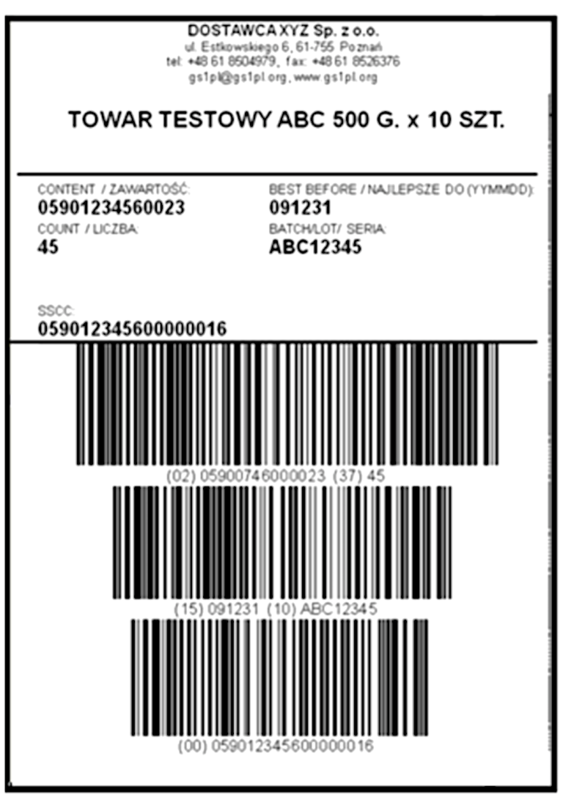 The central part of the logistic label has the interpretation of the barcode, while in the lower part, there are barcodes. Logistic labels are more and more common form of marking logistic units, helping in B2B sales. It is also often used when working with shopping centers or in case of cross-border sales. A functionality supporting efficient B2B cooperation is a module allowing to complement the products included in the customer's order, using a EAN scanner. The scanner on the basis of the code verifies the correctness of the chosen product, so the number of mistakes in orders could be minimized. An interesting solution implemented in Herbamedicus eCommerce system is a possibility to define the warehouse from which natural products are sent to the customer. Thanks to multi warehouse module, separate warehouses for pharmacies or herbal shops, located in different areas of Poland, can be established. Brand-new eCommerce system has B2B module, which allows to register business customer. During the registration process the customer gives the number of establishments and grants power to the employees, who in the future, on behalf of the company, will place orders in the online shop. 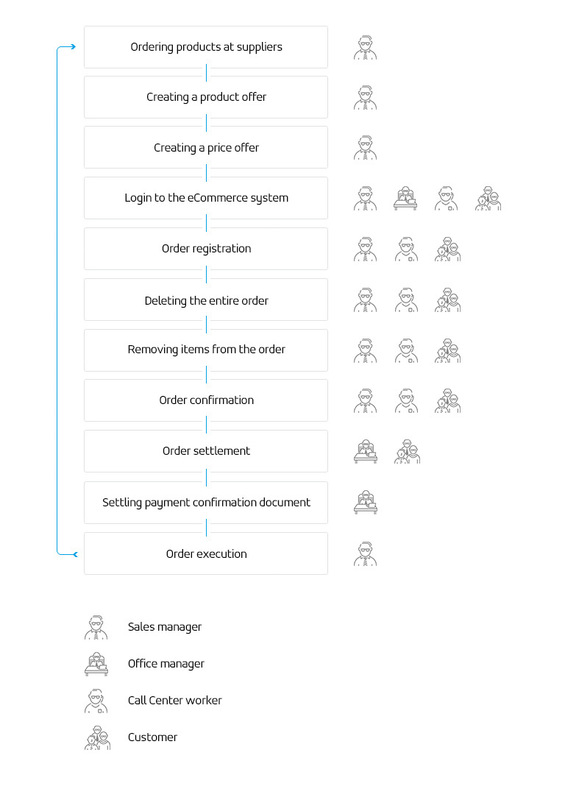 With this solution, the customer doesn’t need to place orders via e-mail or phone, and all actions can be taken from the level of established panel. To develop long-term cooperation with business partners, Herbamedicus company decided to introduce the new eCommerce module - individual pricing. The functionality allows the system’s administrator to define special price offer for a particular contractor. Additionally, business customer, while making a purchase, can ask for a individual price list for one specific order. When customer asks for a special price for given order, system’s administrator receives notification and can create a dedicated offer, valid for a certain number of days.